For the last 50 years, the President of the United States has recognized the contributions of America’s entrepreneurs and small business owners by issuing an annual proclamation. This year’s National Small Business Week falls on May 5th – 11th. It is estimated that small businesses create 2 out of every 3 new jobs in America, making it all the more important to celebrate the self-driven individuals, such as yourself, who make America such a unique and inspiring place to do business. So in the spirit of Small Business Week, be sure to get out and pat your fellow entrepreneur on the back – and don’t forget to check out our list of small business events happening around the country and at home in Austin. What it is: One of America’s biggest small business conferences focused on sharing business strategy tips and small business trends. Why it’s worth attending: Hear from global speaker and best selling author Ramon Ray about “Position[ing] Your Brand for Maximum Profitability” and Director of Content Marketing, Dave Charest, about how to make sense of online marketing by using “A Simple Checklist for Success”. What it is: A luncheon to recognize the 2019 Small Business award winners. Why it’s worth attending: This is a great opportunity to learn how small business owners have grown their businesses from the ground up. Mingle with Portland’s small business community and find inspiration in their success stories. What it is: A 3-hour session organized by the NYC Department of Small Business Services – designed to help New Yorkers navigate the variety of funding resources available to them. Why it’s worth attending: Become acquainted with the 5 C’s of small business lending and gain a financier’s point of view on how to evaluate the advantages and disadvantages of common lender practices. What it is: An SBA seminar about time management for small business owners, managers and employees. 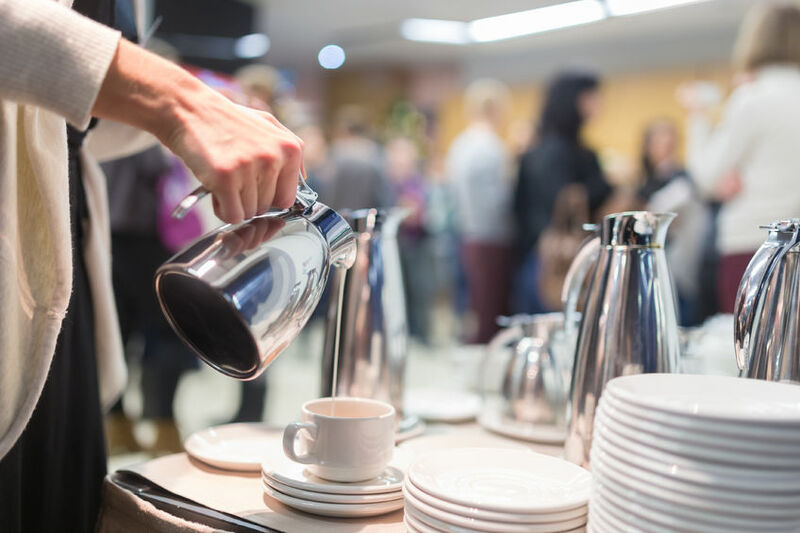 Why it’s worth attending: If you are feeling a little weighed down by your workload, or as if your time is not being well spent, perhaps attending this event will shed a little light on the issue. The Small Business Expo – Washington D.C. When and where: May 9th, Washington D.C.
Why it’s worth attending: Take an Internet marketing master class with “Internet Rockstar”, Austin Walsh. Hear about “Gold Medal Principles for Winning & Reaching Peak Performance” from 3 time Olympic gold medal Champion, Josh Davis – who has found in sports a powerful set of principals that can help guide you and your business toward success. What it is: Thompson Management Consulting’s 6th Annual Summit, featuring workshops, panel discussions, keynote presentations, a B2B expo, a health fair with free health screenings, catered breakfast and lunch, and networking opportunities. Why it’s worth attending: In addition to spending the day socializing with like-minded small business professionals, you will have the chance to sit one-on-one with business consultants to discuss issues specific to you and your business and schedule additional time if you’d like to continue the discussion. What it is: Events aimed at teaching business owners, project managers, entrepreneurs, consultants and software developers about an all-in-one integrated and customizable business management software called Odoo. Why it’s worth attending: Odoo promises to help small businesses increase efficiency, cut costs and boost sales. We cannot vouch for that, however a free event + beer, networking and the potential to learn about a seemingly awesome business management tool sounds like a pretty good deal. What it is: An opportunity to speak with a volunteer attorney about business legal questions and issues. Why it’s worth attending: This is just one of the many sessions The City of Austin Small Business Program is offering to celebrate National Small Business Week. Go to get a free one-on-one session with a legal consultant and to hear about topics such as entity formation, general liability, contracts, employment procedures, negotiations, patents and trademarks and more. What it is: Business & Community Lenders of Texas are partnering with Carver Library to offer a seminar on Small Business Growth Strategies. Why it’s worth attending: The theme of this seminar is finding hidden revenue and overlooked marketing gems. It is one in a series of more similar seminars to come. The BCL staff is made up of small business and financial specialists, certified housing counselors, and community developers – a good team to know when seeking small business advice. What it is: A certification awareness and application opportunity event for small businesses presented by the City of Austin’s Small & Minority Business Resources Department. Why it’s worth attending: Getting your business certified is a great way to celebrate National Small Business week. SMBR offers a rare variety of certifications, such as Historically Underutilized Business Enterprise (HUB), Minority–Owned Business Enterprise (MBE), Women–Owned Business Enterprise (WBE), Disadvantaged Business Enterprise (DBE). Each certification comes with its own respective perk, such as funding or State recognition. What it is: A City of Austin Small Business Program providing a general overview of the city of Austin’s development process. Why it’s worth attending: For those of you running your business offline in Austin, this is the perfect opportunity to make sure you are up to date with current zoning laws, plans, permits, inspections and certificates tied to business development and occupancy. What it is: A quick crash course on how to use Facebook as a marketing platform. Why it’s worth attending: The course is taught by Jennifer Denham, a social media marketing specialist. Jennifer has 12 years of experience helping small businesses find effective marketing strategies with an in-depth knowledge in social media, branding and analytics tracking. What it is: An event designed to explore solutions for those who tend to settle for less just to make a business deal. Why it’s worth attending: Enjoy a delicious breakfast provided by Snooze Eatery and get to know other professional women in the community. Strategic Business Allies stresses that this is not a networking group, but rather an exclusive, member built group in which participants can engage in open dialog discussion about real business issues. They meet every 3rd Tuesday of the month except March, August and December. May’s topic of discussion will be “Pricing Models and Charging Your Worth”. If you struggle to find the best pricing model for your business, this is a great opportunity to explore new options.